The issue of ‘patent assertion entities’ (PAEs) or ‘patent trolls’, i. e. of companies that acquire patent portfolios to aggressively negotiate licenses, potentially under the threat of an action for patent infringement, is not new. 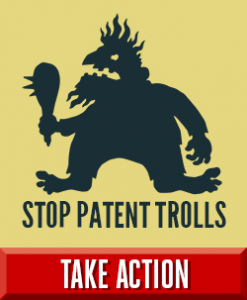 Patent trolling has been addressed several times on this blog. Paul Belleflamme addressed the issue from an economic point of view in The smartphone patent wars: nothing really surprising... I have already listed some factors that might increase the risk of patent trolling in the future architecture of the patent system in Europe, in particular when the Unified Patent Court will start to operate (see Will ‘patent trolls’ soon appear on the European market?). Other posts have shown that the present patent system in Europe is probably not immune from patent trolling (see H.-E. Kim, Are non-practicing entities (NPEs) aka ‘patent trolls’ operating in Europe?). A new sequel to an apparently never ending story took place in 2014. But let’s start with a reminder. Trolls are small evil creatures from Norse mythology, which often live under bridges and pester travellers for safe passage; similarly PAEs are accused of taking firms by surprise once they have made irreversible investments. PAEs can use the threat of a (temporary or permanent) injunction to extort hefty fees in licensing negotiations, or huge settlements from companies they have accused of infringing. A 2013 White House Study lists among the abusive tactics of PAEs: “threatening to sue thousands of companies at once, without specific evidence of infringement against any of them; creating shell companies that make it difficult for defendants to know who is suing them; and asserting that their patents cover inventions not imagined at the time they were granted » (Executive Office of the President, Patent Assertion and U.S. Innovation (June 2013); available at http://www.whitehouse.gov/sites/default/files/docs/patent_report.pdf). A famous example is the $612.5 million out-of-court settlement that Research in Motion accepted to pay to NTP in 2006 to avoid the risk of its popular BlackBerry service being completely shut down. Today cases involving PAEs are still finding their way before the U.S. courts, and in particular before the attractive Eastern District Court of Texas: for instance, on Nov. 17, 2014, the jury in Marshall, Texas condemned Apple to pay the modest amount of $23.6 million for infringing patents once owned by a Mississippi pager company (see here). Trolls are also sometimes designated as ‘non-practicing entities’ (NPEs). A NPE is a company that owns patents but does not design or manufacture a product or process. NPEs thus include universities, research organisations, technology transfer offices, etc. Obviously, not all NPEs do aggressively assert their patents and PAEs are thus a subset of NPEs. The definition of a PAE remains controversial. President Obama expressed its concerns over PAEs in a Google Hangout interview of February 2013. For him, PAEs are entities that “don’t actually produce anything themselves” but that are “just trying to essentially leverage and hijack somebody else’s idea” to “see if they can extort some money out of them.” (see https://www.techdirt.com/articles/20130214/14351821988/president-obama-admits-that-patent-trolls-just-try-to-extort-money-reform-needed.shtml ). But the 2013 White House Study (mentioned above) concluded that some entities which do not produce or manufacture a product are nevertheless contributing to innovation. For instance, those entities can play the role of an intermediary by connecting inventors with manufacturers and revealing the hidden value of some technologies. By closely monitoring the technology developments so as to anticipate the next generation of products and by matching patent holders and patent buyers, those entities can act as efficient “patent brokers”. Therefore adopting a law to curb the abusive practices of PAEs without affecting the positive role some NPEs can play is not an easy exercise. In the U.S., the Republican majority in the Congress appears willing to consider a law to curb patent trolling (see a Nov. 20, 2014 press report here). New public campaigns have been launched in 2014 by some groups such as the Electronic Frontier Foundation (see the EFF June 2014 appeal to students and researchers). Meanwhile, the Apple-backed Rockstar (a PAE) has signed a settlement with Google, which indicates that this patent war might come to an end (see the Gigaom article of Nov. 20, 2014). Rockstar is a patent privateer (see above this notion the article: Beware! Privateers patrol these patent waters of my colleague Paul here). Rockstar was designed by its owners as a creature to attack companies selling Android-based devices, such as HTC and Samsung. Together with Microsoft, Blackberry, Ericsson and Sony, Apple paid 4,5 billions USD to acquire the patent portfolio owned by the bankrupted Nortel company which was then allocated to Rockstar. According to recent news this portion of the global smartphone wars is close to termination. Thus even the “thermonuclear war” that the late Steve Jobs had advocated against Google might result in a lasting truce! To the benefit of the consumers probably. But patent trolls might reappear on other markets (such as the automotive market) and it is thus important to find a more definitive solution. How could such a problem be best addressed by a new law in the U.S.? How do you reduce the incentives for PAEs to aggressively assert their U.S. patents? Think about some helpful changes in the judicial rules and proceedings that migh help to solve the problem in the U.S. Many online articles are devoted to the issue (see for ex. here). You should as well think a bit more on the risks for patent trolling to develop in Europe under the forthcoming patent package (which includes the Unitary Patent Regulation 1257/2012 and the Agreement on a Unified Patent Court of 19 Febr. 2013 (2013/C 175/01)). You should start to look at the articles referred to in the beginning of this post and the sources quoted (for instance a practitioners’ view on bifurcation). You should as well consult the 17th version (Oct. 2014) of the still to be adopted Rules of procedure for the future Unified Patent Court (see the homepage of the UPC: here). (You might as well find an argument in the November 18, 2014 Advocate General’s Opinion in the CJEU cases (C-146/13 Spain v. Parliament and Council and C-147/13 Spain v. Council). So far only a press release is available online, but some online commentaries have already evoked some interesting arguments about the CJEU jurisdiction that might be used to reduce the risk of trolling thanks to a ‘last resort control on patent proceedings’).